Bringing its unique formula of a sporty V-Twin engine, advanced technology, slimline chassis and distinctive look, the highly-anticipated 2013 model of the Suzuki learner approved Gladius has arrived in Australia. Bringing its unique formula of a sporty V-Twin engine, advanced technology, slimline chassis and distinctive look, the highly-anticipated 2011 model of the Suzuki SFV650 has arrived in Australia. Suzuki's exciting new Gladius SFV650 has landed in Australia, bringing its unique formula of a sporty V-Twin engine, advanced technology, slimline chassis and distinctive look to local streets. Ahead of its arrival in Australia next year, Suzuki has taken the wraps off the Gladius, an all-new model offering a unique combination of performance, style and comfort in a fun package suitable for a broad range of riders. Suzuki Australia has unveiled three sensational new models which will arrive down under in the coming months, including the all-new, 2009 GSX-R1000K9. 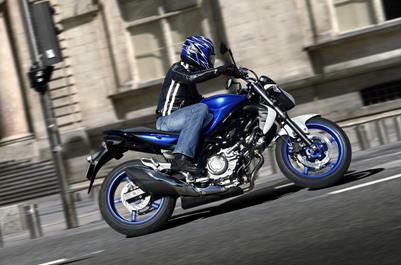 Suzuki Gladius, available for $9,990 ride-away.